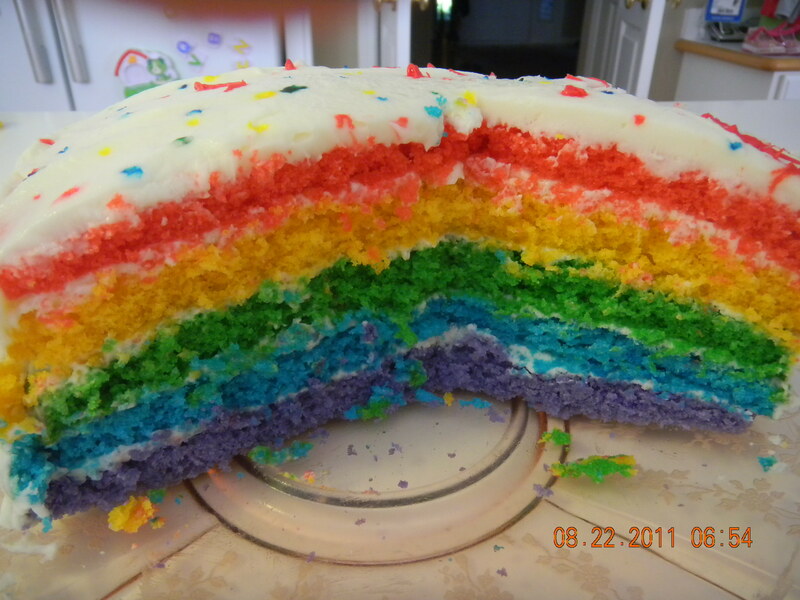 I came upon this beautiful birthday cake and it was love at first site sight. Yesterday, I made a practice sample of the cake itself…it was surprisingly easy and the gel colors make the cake brilliant! The cake is superbly moist and the hint of lemon in the frosting is delicious…I wasn’t quite sure about lemon but it really is tasty. 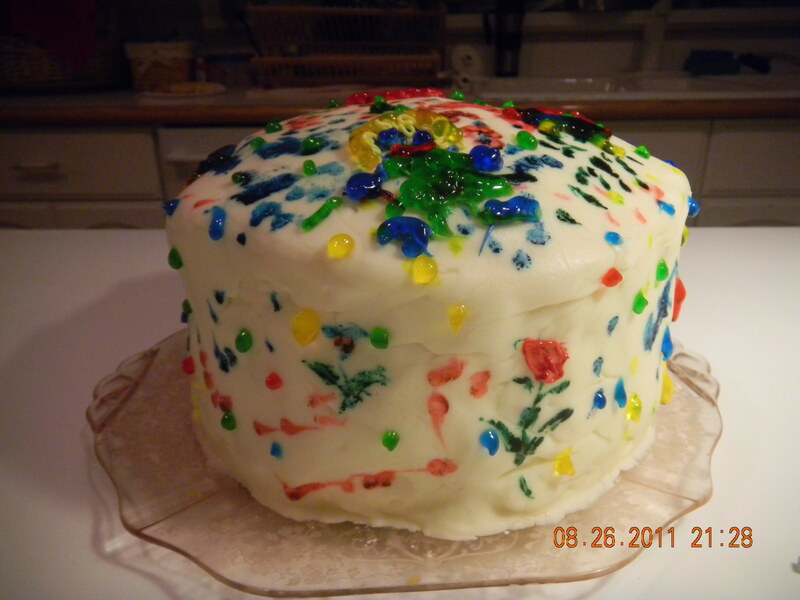 Later this week, I am actually going to put this entire cake together with the Meringue Icing and the Fondant topping. The birthday girl will hopefully be able to doodle on it with her little friend and make this a very unique cake experience.